According to Back To The Future Part II, October 21, 2015 was the day Doc and Marty arrive from the wonderful world of 1985. They’re greeted by a world of flying cars, hoverboards and self-lacing shoes. 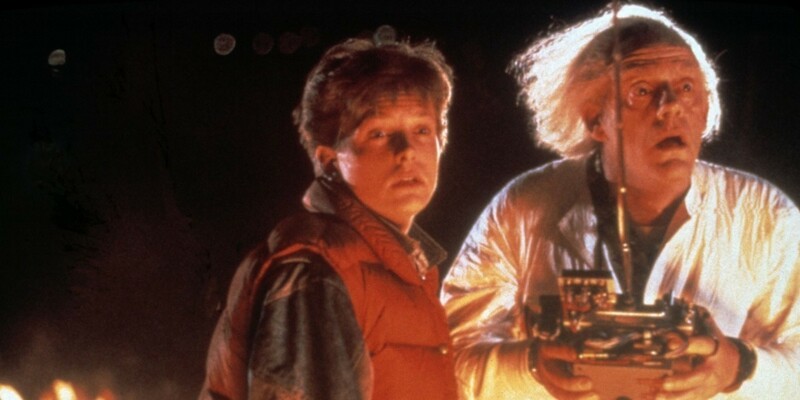 As far as time travel is concerned, making the journey from 1985 to 2015 is easy. Many of us took the long road, traveling at the usual 1 second per second through time. But we know it’s possible to make the journey in less time. A central property of special relativity is time dilation, where an object moving at some speed relative to you will appear to experience time at a slower rate. We see this effect in particle accelerators, where unstable particles moving at high speed decay at a slower rate than ones at rest relative to us. Using time dilation, you could in principle travel away from Earth at high speed and return 30 years later. If you traveled at speeds approaching light, then your journey might only take a month for you while decades pass on Earth. The power required for such a journey is far beyond the total energy production of Earth, but it’s possible within known laws of physics. Traveling forward in time is easy. When folks talk of a time machine, however, they mean one that can travel backward in time. We want to be able to visit key moments in history, watch dinosaurs walk the Earth, or accidentally prevent our mother from dating our geek of a father. While it’s mostly just a fun plot device, time travel has been studied by physicists in great detail. Not necessarily with the goal of building such a machine, but rather to explore the theoretical possibilities of general relativity. What they’ve found is that backwards time travel is extremely difficult at the very least, but not necessarily impossible. In physics a time machine is known as a closed timelike curve. Objects move through time and space, but can never travel through space faster than light. Any path through spacetime that obeys this rule is known as a timelike curve. If a timelike curve could somehow loop back on itself (if we could meet our younger self for example) it would be a closed timelike curve (CTC), hence a time machine. It turns out that CTCs are possible within general relativity. In 1949 Kurt Gödel found a solution to Einstein’s equations with CTCs. It described a universe that rotated, and the rotation caused some timelines to loop back upon themselves. While Gödel’s universe is a mathematical solution to general relativity, it isn’t a physical one. The real universe doesn’t rotate the way Gödel’s model does. But Gödel showed that CTCs were at least theoretically possible within relativity, and so other solutions have been explored. Wormholes and warp drive could be used to make a time machine. Credit: Wikipedia user Raude. CC BY-SA 3.0. We now know that anything that allows travel faster than light could be used to create a time machine. If we had warp drive, then we could use time dilation and warp drive to create a CTC. The same is true for wormholes that allow us to create shortcuts across cosmic distances. As far as we know neither of these exist, and it seems the speed limit of light is also a rule against time travel. But even if we assume time travel is somehow physically possible, there are also metaphysical problems with time travel. The most famous one is known as the grandfather paradox. It was first proposed by science fiction author Nathaniel Schachner in 1933, and is alluded to in the Back To The Future series. Shachner’s paradox had a time traveler journey to the past and kill his grandfather before he married and had children. Since this prevented the time traveler from being born, he couldn’t have killed his grandfather, hence the paradox. In Back To The Future, Marty accidentally prevents his parents from going to the school dance, thus putting his very existence in danger. Interestingly, the grandfather paradox is easily resolved in general relativity through what is known as the Novikov self-consistency principle. If we assume that (somehow) CTCs are possible, then the Novikov principle requires that such time loops be self consistent. So you could travel back in time in an attempt to assassinate your grandfather, but only end up wounding him. He’s rushed to the hospital, where the attending doctor is none other than your grandmother. Your time-trip caused them to meet, and hence you were born, which is perfectly consistent. According to the Novikov principle, it would be physically impossible to create a paradox. This self consistent approach was used in that other 80’s time travel movie, Bill & Ted’s Excellent Adventure. 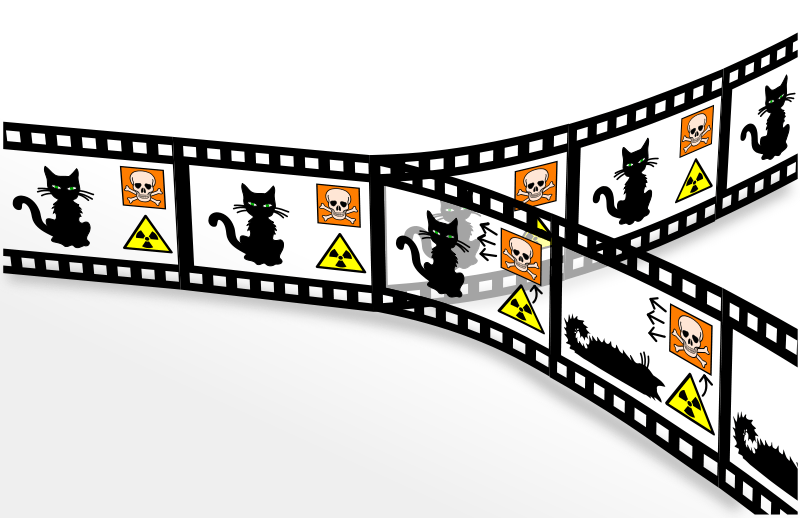 In the many worlds model any quantum outcome leads to both results. Christian Schirm. Back To The Future uses a different take on time travel, specifically that traveling back in time would spawn a new timeline. 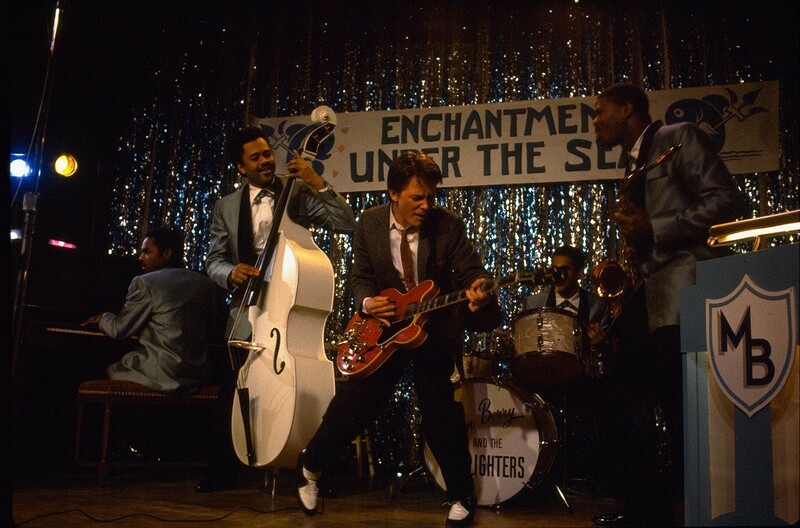 Even though Marty reunites his parents by the end of the first film, there are small differences when he returns to 1985. As the trilogy progresses a wide range of timelines are formed (up to 21 depending on how you count them). This draws upon what is known as the many worlds model. In quantum theory, the measurement of a quantum object leads to an outcome that is probabilistic. Rather than a deterministic cause and effect, as seen in Newtonian physics, quantum theory can only give us the likelihood of a certain result. In an effort to bring determinism to quantum measurements, Hugh Everett proposed a “relative state” interpretation of quantum theory in 1957. In this interpretation, all outcomes of a quantum measurement occur, but the act of measurement causes the outcomes to separate from each other. Basically, a quantum measurement causes the universe to split into separate “universes,” each with a different outcome. While Everett’s model isn’t that simple, the idea that events or choices can split the universe has become a popular trope in science fiction. The idea of time traveling between parallel worlds isn’t plagued with the paradoxes of single-universe time travel, but it relies upon a loose interpretation of an unproven model. Because of the challenges and paradoxes of backwards time travel, most physicists don’t think time travel is possible. All the metaphysical problems go away if a time machine is simply unphysical, and in physics the simplest answer is usually the right one. So perhaps we should focus on things that, though highly unlikely, are in principle physically possible. Such as the Cubs winning the World Series. Paper: Gödel, K. (1949). “An example of a new type of cosmological solution of Einstein’s field equations of gravitation”. Rev. Mod. Phys. 21 (3): 447–450. Paper: Everett, Hugh (1957). “Relative State Formulation of Quantum Mechanics”. Reviews of Modern Physics 29: 454–462. I had this discussion with someone a few weeks ago. I like to call time travel to the past god mode. It’s like the ultimate cheat.